Google Drive . . .
Includes collaboration features for native Google file types (Docs, Sheets, Presentations) such as real-time multi-user access and revision tracking. Integrates with synchronization tools for maintaining local, offline copies of files stored on Google Drive. Note that Google Drive is . . .
cloud-based, that is, accessed over the Internet, and so not the same as accessing a locally-stored file, unless you use one of the synchronization tools. 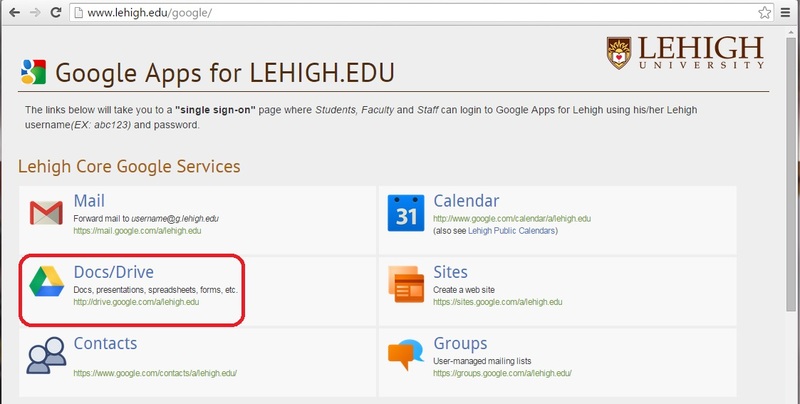 To launch Google Drive, type www.lehigh.edu/google in any Web browser. Click on the Docs/Drive link. You will be prompted to enter your Lehigh network credentials. Note that Google Chrome is the preferred browser, in order to enjoy Google Drive's full functionality. 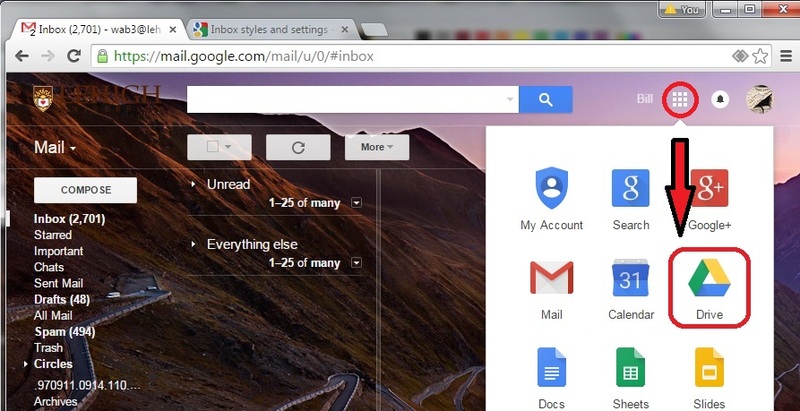 Or, if you are already logged in Google Apps (e.g., email or calendar) select Drive from the Google App Launcher. 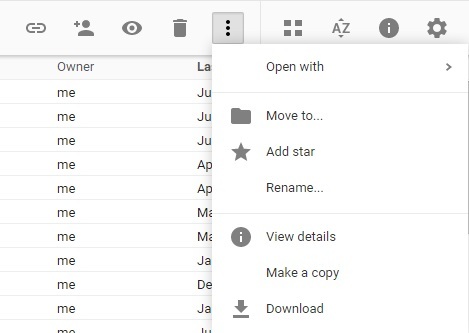 The Google Drive main screen is comprised of four sections: A Search bar lets you search for any file or folder to which you have access. B Drive menu lets you select the container you wish to view. C View menu shows you the contents of the Drive container that you selected. D Drive format menu, including View options (list or grid), sort, and other settings. When a file or folder is selected, the icon menu is expanded: 1 Create a link that can be used in an email or web page. 2 Provide access rights to the file to other users. 3 Open the file or folder in Google Viewer. 4 Remove the file or folder. 5 More actions, which offers additional options. The More actions folder. Visit Create a Google Drive file to create your own Google Drive data.